For young children, Science is about learning the world and science is also considered an important domain in early childhood. Science helps our children to build a basis for future scientific understanding and important skills for learning. But sometimes it is not easy to get our kids started with science education. Science 4 you is a Portuguese company focused on the development and commercialisation of toys and activities. 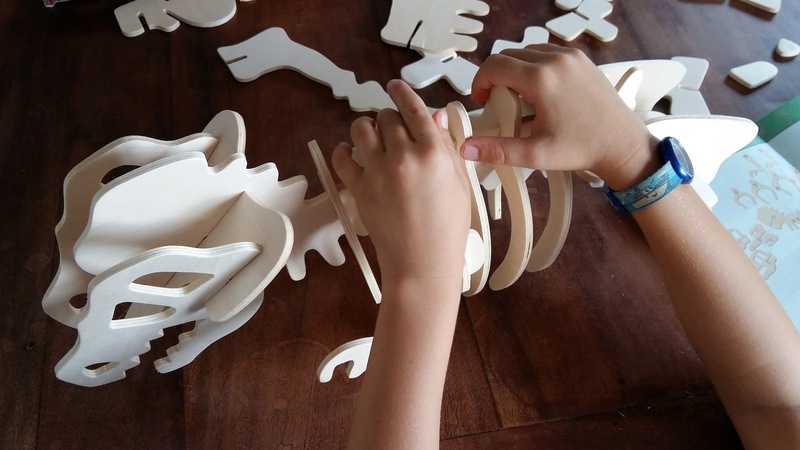 Their aim is to raise people’s awareness for science and to improve education standards by developing toys and games that enable children, from 3 to 12 years old, to learn while playing and having fun. Chemistry, Biology, Geology, Electronics, Physics and so many other science branches can be easily introduced to children while they are playing with Science 4 you. Their scientific kits engages children in topics spanning many different science fields, encouraging them to raise questions while performing hands-on experiments. They also aim to stimulate their imagination while playing at being scientists, detectives, investigators and expanding their knowledge in a fun atmosphere. 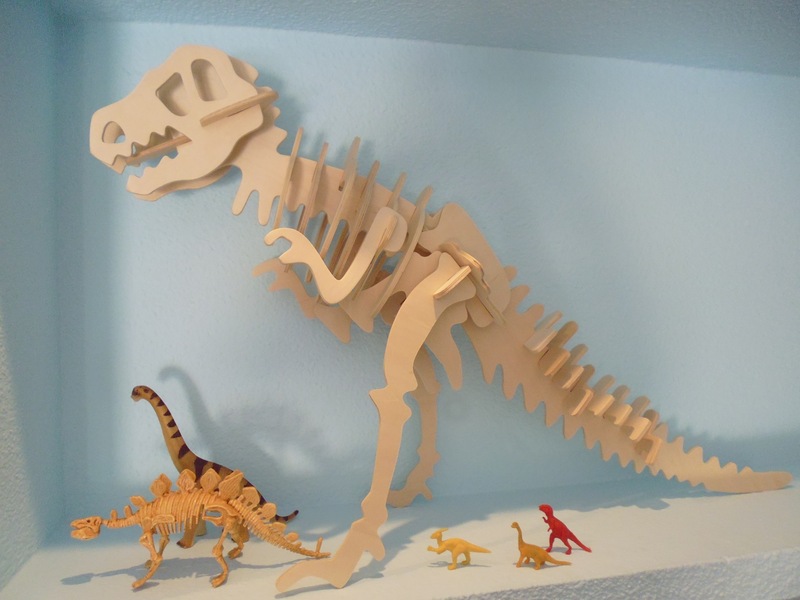 My kids love dinosaurs, and some months ago we bought a Science 4 you dinosaur excavation kit. 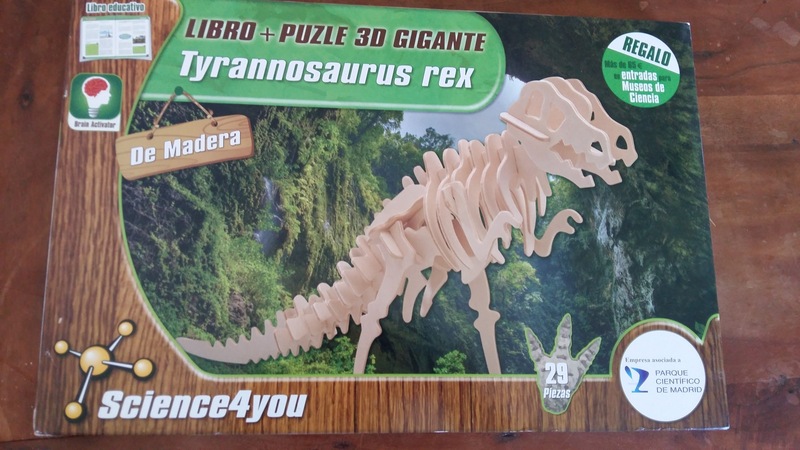 Now we had the chance to try their Tyrannosaurus Rex 3D wooden puzzle. The quality of the puzzle is amazing and there is a great book with lots of facts and in-depth information for kids. The puzzle is really huge compared to other dinosaurs that we have bought in the past. Science4you has established partnerships with important Entities in Portugal (Faculty of Science of the University of Lisbon), Spain (Scientific Park of Madrid) and in the United Kingdom (Oxford). Their online shop is really great and has affordable prices. You can choose the toy and activity that is more appropiate for your child’s age, and help him develop his early science skills and nurture his scientific growth.